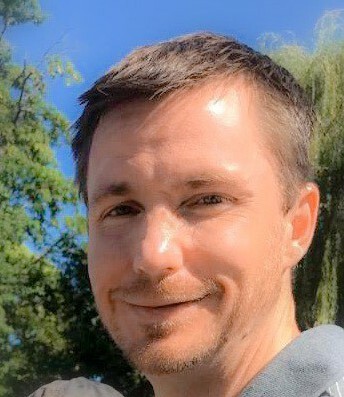 With our deepest sorrow, we announce that Gage Edward Harper, age 38, left us suddenly on Monday, April 8th, 2019. Gage's death was unexpected and has been a shock to everyone. Gage was sober at the time of his passing. We would like to honor him for being so close to celebrating the official two year mark. We are so proud of Gage; he battled an addiction with both courage and quiet strength. We wish to honor him as his sobriety was something that he suffered, struggled, and worked so diligently for. Gage was born December 5th, 1980 to Cecelia and Tony Harper. At age 3, Norm Stricklin became his father, raising and loving him his entire life. Gage was a true Boise native, attending both Boise High School and Boise State University. During his time at Boise High, Gage was on honor roll and thoroughly enjoyed his time on the varsity basketball team. He was awarded the Heart of the Brave, an award designated to individuals who embody the values of Boise High. The award is only given to those who: have the best attitude, are the hardest working, and are the most committed-the award really attests to his truly persistent spirit. Gage graduated from Boise State University with a degree in Political Science. He was always interested in the opportunity to study, contemplate, and learn. Over the last few years, Gage dabbled by taking accounting courses, which of course he enjoyed with his highly analytical mind. Most recently, Gage had started working at Zion's bank. Zion's provided him the opportunity to fully apply himself and we feel that Gage loved so many people he worked with- a second family of sorts who helped him to see himself for how wonderful he truly was. Gage had so much goodness, so much capacity to bring happiness to others, and such a vibrant future. The world is a lesser place without him. Gage was and still is our most beloved son, brother, family member, and friend. Gage will be missed everyday by his parents, Norman and Cecelia Stricklin, his sister, Catherine York, sister Maritta (Ben) Armstrong, sister Mariah (Jordan) Hick, sister Chris (Bob) Daily, brother, Ben (Angie) Stricklin, brother, Josh Stricklin, his loving aunt and uncle, Casey and Teana Hancuff, and cousins, Brandon and Hayden Hancuff, and many great friends. We know Gage is now with Grandma and Grandpa, Vivian & Gale Allen, and many, many loving relatives. We extend our heartfelt thanks to everyone who helps us honor and celebrate Gage's life. For those who wish, in lieu of flowers, Gage's family would appreciate donations to River Sober Living ( P.O. Box 4622, Boise, ID 83711). A funeral service will be held at 11:00 am, on Tuesday, April 16, 2019 at The Church of Jesus Christ of Latter-day Saints, 3020 W. Cherry Ln. in Boise, with visitation at the church beginning at 10:00 am. A committal service will follow at Dry Creek Cemetery in Boise at 3:00 pm.